This striking St Ives outdoor lantern takes its inspiration from the lights on traditional fishing boats. Perfect for adding a maritime feel to urban gardens, balconies, porches or even indoors. 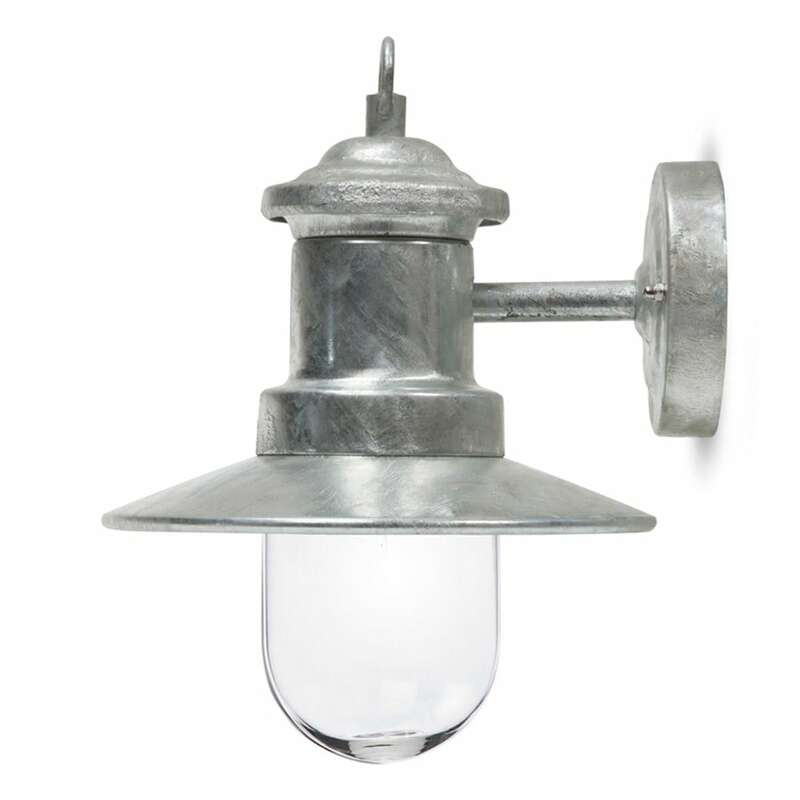 Made from hot dipped galvanised steel, the light is fully weatherproof in any conditions, and comes IP44 rated for outdoor and bathroom use. Please note: the slight roughness in the finish is a natural result of the hot dipping process and is intrinsic to the product’s design. Requires 1 x E27 GLS bulb (not supplied).